University of Rochester trustee and retired longtime Xerox executive Emerson Fullwood will deliver the keynote address at East Upper School’s graduation on Saturday, June 23. The ceremony will begin at 10 a.m., and will take place in the school’s Edward J. Cavalier Auditorium. The former corporate vice president of Xerox Corp., Fullwood was appointed to the board of trustees in 2017. 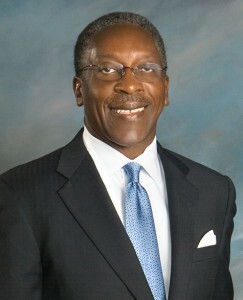 Fullwood serves on several business, higher education, and philanthropic boards. He is also lead director of SPX Flow Corporation; a director of Vanguard Group and Vanguard Funds; a former director of Amerigroup Corporation and General Signal Corporation; and vice-chair at North Carolina A&T University. 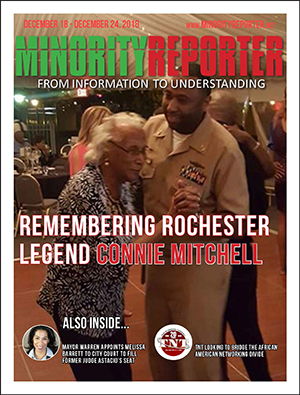 In addition, Fullwood is a board member at the University of Rochester Medical Center, Roberts Wesleyan College, Monroe Community College Foundation, the Rochester Urban League, United Way of Greater Rochester, and Rochester Boy Scouts of America. He retired from Xerox Corp. in 2008, after working there for 36 years in a variety of executive and general management leadership positions. Approximately 115 students from the Class of 2018 will receive diplomas the morning of June 23, and Tijanna Stephens and Sannicka Thompson will serve as valedictorian and salutatorian, respectively. Visit www.rcsdk12.org/east for additional information regarding the ceremony. Previous PostRochester Airport Announces Public Naming Contest for Two New Eateries Next PostCounty Names Winners of First “Monroe County STOP DWI High School Radio Contest"